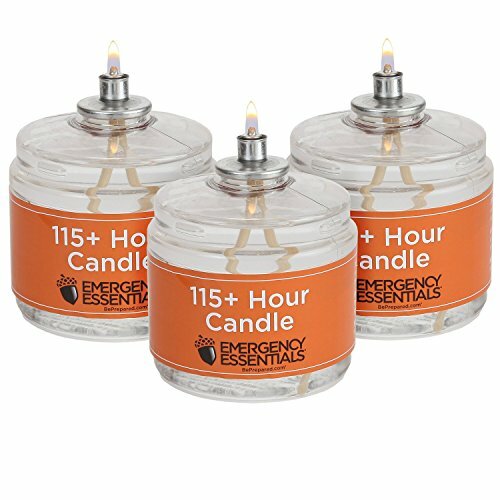 This candle burns liquid paraffin and is clean-burning, odorless and smokeless, making it a great choice for indoor use. Burns liquid paraffin for over 100 hours of light. Keep one handy with a book of matches taped to it for your next power outage. The liquid fuel is sealed inside, with only the wick exposed. You can extinguish, and use again and again. A very safe source of light! Set of 3 candles. This candle should be used only with adult supervision. Remember, safety first!